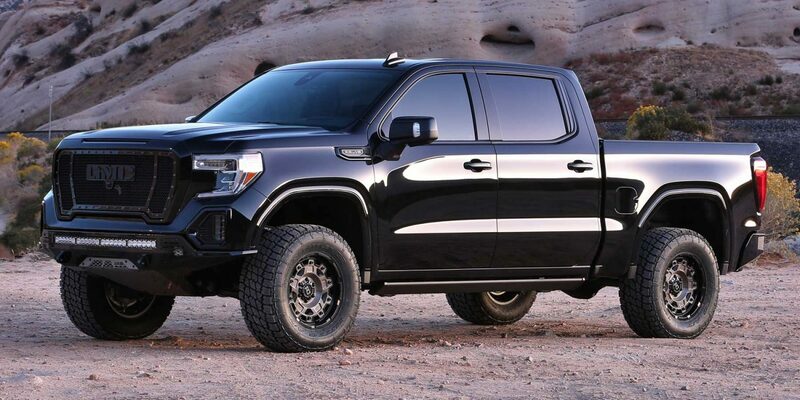 Fabtech’s 3.5″ Budget UCA System for the 2019 GMC K1500 Denali 4WD provides increased ride height over stock without creating suspension bind at full droop. Lift is accomplished with steel spacers that utilizes the factory Adaptive Ride Control coilovers. The replacement Upper Control Arms address the geometry of the front suspension with the new ride height for proper alignablity. Heavy duty ball joints allow for extended travel to eliminate binding. Rear lift comes from 1.5” blocks and u-bolts. Heavy duty rear shock extension brackets retain the factory Adaptive Ride Control shocks on the 2019 GMC K1500 Denali resulting in outstanding ride quality.